Ho ho health! The holiday season is just a few weeks away and it is time to start thinking about the ultimate gifts, healthy (but tasty) foods to serve and a little decadence to lift the spirits. This edition of the Dr. Joey newsletter is filled with gift giving ideas with a cause, ways to avoid holiday weight gain and sinfully good foods. Whatever holiday you celebrate, my team and I want to personally wish you the very best this festive season and New Year. Thank you for inspiring all the items, articles and recipes you see in the Dr. Joey newsletter. Your feedback and interest in natural health and wellness makes our jobs just so much fun! Feeling overwhelmed? If so, click here to read about 8 ways to take care of YOU during times of stress. We are so excited to be opening a new Shulman Weight Loss clinic! Lose weight at Toronto's #1 clinic in a hormonally balanced and healthy way. Looking for the perfect way to satisfy a sweet tooth or hunger pang this holiday season? 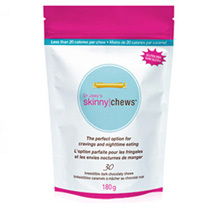 Skinny Chews are the perfect solution... with less than 20 calories per chew and 4g of inulin fiber per serving, gluten free and naturally sweetened, you can't go wrong! You can purchase Skinny Chews at GNC, Longos, Whole Foods, all major health food stores, and online at www.drjoey.com. If you order 2 or more products, shipping is on us! 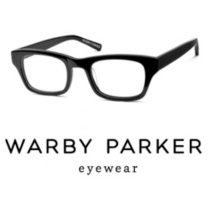 I am all about supporting and promoting companies with a great cause and Warby Parker is on the top of my list. For every pair of glasses purchased, Warby Parker provides a pair of glasses to someone in need. 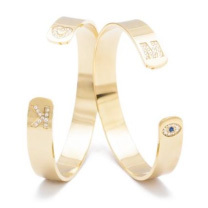 Dear March is an online fashion and lifestyle website where part of the proceeds of all online sales are donated to Believe Big in honor of Amelia's sister Jane, who has stage 4 cancer. Believe Big in a charity that helps promote alternatives in cancer treatment while supporting the patients and families involved. For the yogi in your circle of family and friends, look no further for the perfect stocking stuffer. 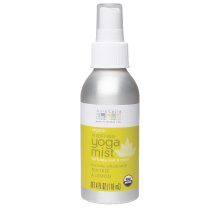 Purifying yoga mat mist spray is refreshing and cleansing, while creating a more holistic yoga session. Containing nothing more than purified water and delightfully effective organic essential oils, Aura Cacia Purifying Yoga Mist will enhance your yoga practice. Purify your body and foster mind-body connection. Leaves of Trees skin care products feature fabulous ingredients such as argan nut oils, and are made by hand in small batches at Leaves of Trees HQ in Toronto. 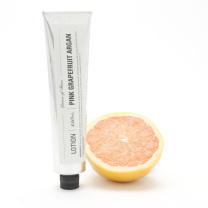 They have taken Environmental Defences Just Beautiful Pledge to disclose ALL ingredients, and to not use any of the Toxic Ten ingredients in their products. Yummy and healthy are two words that descibe these skinny crackers. Creating food that is delicious and prepared using wholesome and clean ingredients is imperative. 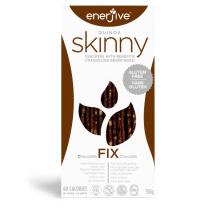 Enerjive take tremendous pride in providing healthy, gluten-free options to their consumers. Preheat oven to 350 degrees. Place muffin cups in muffin tins. Mix sugar, applesauce, yogurt and egg until creamy. Add milk, vanilla extract, flour, baking soda, and salt. Stir until completely smooth. Fold in walnuts. Spoon the batter into the muffin tins. Bake for 20-25 minutes until cooked through (can test with fork). Coat turkey breast evenly with olive oil and sprinkle with rosemary, salt and pepper. Place turkey in shallow roasting pan. Cook turkey approximately 25 minutes per pound (turkey is done when a meat thermometer inserted into the breast reads 170°F). Periodically baste turkey with juices in the pan, especially toward the end of the cooking. Let rest for 10 minutes, carve, and serve. Preheat oven to 400 F. Lightly oil a baking sheet or coat with nonstick spray. Place cut potatoes, olive oil, and pepper and salt in a large zip lock bag. Seal and toss to coat. Place potatoes in a single layer onto the prepared baking sheet. Place into oven and bake for 35-40 minutes, or until golden and crisp, tossing occasionally. Sprinkle garlic and Parmasean over cooked sweet potato. Garnish with parsley and serve immediately! Pre heat oven to 350 F. In a medium bowl, add oats, flour, sugar, oil, butter and cinnamon. Mix until you get a crumbly texture (works best with your hands). Cube apple and add lemon juice and remaining cinnamon. Mix together and divide into 2 ramekins. Add prepared oat mixture on top of apples. Cook for 30 minutes or until golden brown. Enjoy! Skip the grain at dinner and avoid refined flour and sugary treats. Refined sugars cause our insulin levels to spike, which signal our cells to store fat more readily. Don't arrive hungry. Always have a snack before going to a dinner party. A little bit of protein or healthy fat will go a long way in keeping your blood sugars stabilized which will help you make more mindful decisions. Limit alcohol. Keep alcohol consumption to 2 glasses per week. Plan ahead to account for holiday parties and events where you know alcohol may be increased and try to limit it the week before or after. Stay hydrated. People often mistake dehydration for hunger so ensure 1-2 L of water each day. Try sweet herbal teas for cravings throughout the day and in the evening, and hot water and lemon to improve digestion and boost metabolism. Keep moving! Make little changes in your daily routine (i.e., walking up the stairs, take your dog on an extra walk, go skating with the kids, or sign up for an extra work out class) to increase your metabolism and burn extra calories. 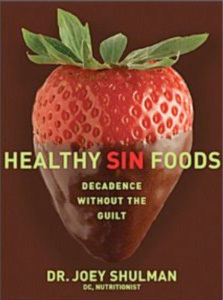 Healthy Sin Foods offers readers exactly what they want - delicious and decadent tasting food guilt free! 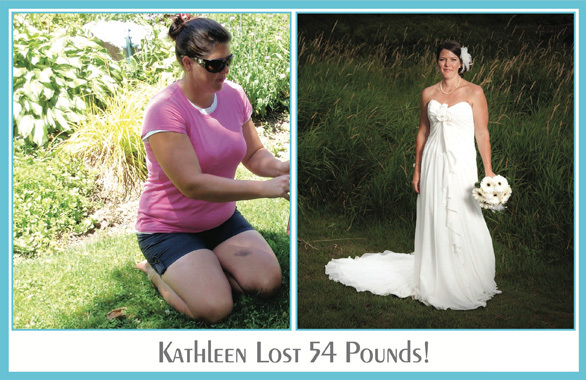 In this book, I demonstrate just how easy it is to make healthy choices that will optimize your health and slim down your waist line all the while tasting too good to be true. In addition to my step-by-step guide on how to be the healthiest "you" yet, the down right mouth watering recipes are quick, easy and can help you stay in the "super skinny" mode, even through the holidays! Don't let the holidays stand in the way of taking charge of your health. At Shulman Weight Loss - we will help you quickly transform into the most energetic and healthiest you yet. Burn belly fat, lose inches and feel great... now. New clinic open at Avenue Rd. and Lawrence January 2nd!